Handling Tips: Keep cold, 32°F. 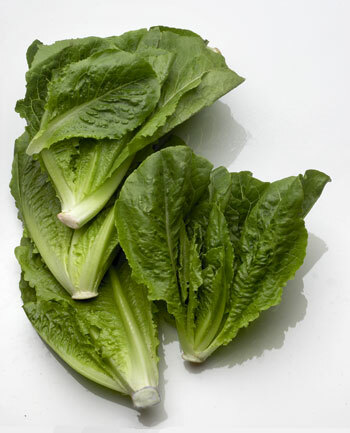 General Information: Green Romaine lettuce has an elongated head of dark green leaves with thick, crunchy ribs and a pungent bite. Most commonly used in Caesar salad.